Japan has been a significant global economic force for some time, so it’s no surprise that they’re taking the app world by storm. With a history of being on the forefront of mobile technology, Japan has moved from feature phones to smartphones backed by downloads and yen. 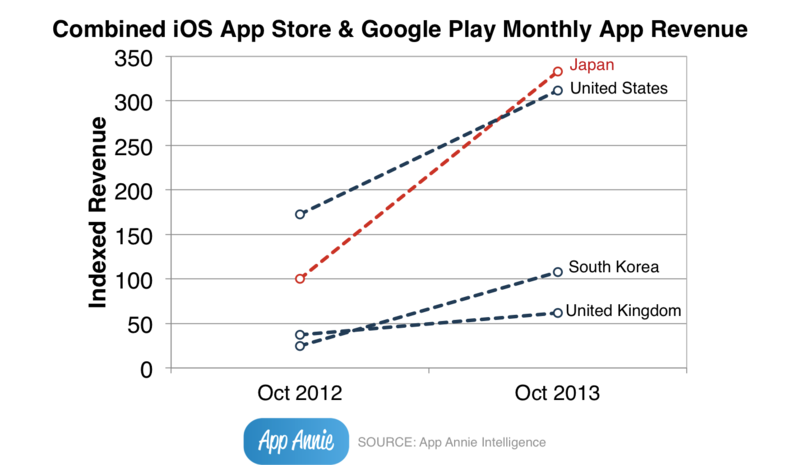 This App Annie Japan Spotlight Report shows how Japan has not only overtaken the United States for app store revenue dominance but also shows no signs of abating in its growth. The report looks into the causes of this growth, shows which publishers are driving this growth and looks ahead to future trends in smartphone penetration, while also pointing out new business models being created out of Japan with the potential for export westward. **Also interesting to note: Japan only has ‘maybe’ 1/2 the installed base (pop.) 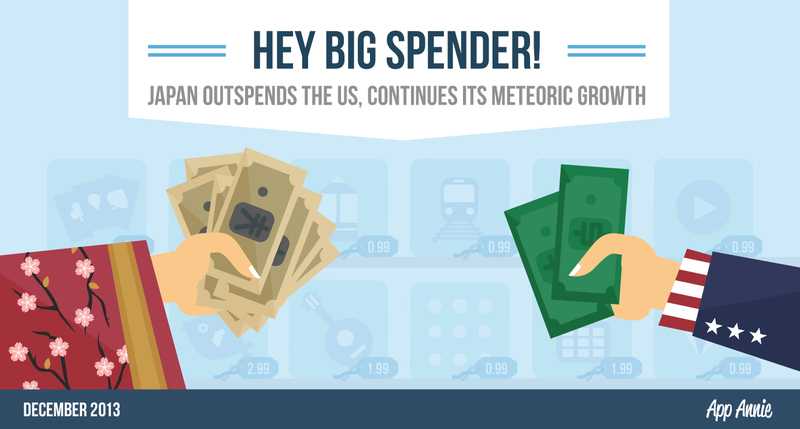 vs. U.S. yet generated even higher gross revenues, across both platforms. Clearly.. 2014 will be wild..!_!